Michael Pye is Professor (emeritus) at Marburg University and a visiting Research Associate of Ōtani University in Kyōto. His writings have ranged widely over problems in the study of religions, studies in Buddhist thought and many aspects of contemporary Japanese religion. His major publications include Skilful Means and Emerging from Meditation. Japanese Buddhist Pilgrimage explores the ritual practice of “circulatory pilgrimages” – the visiting of many temples in a numbered sequence. Every year, hundreds of thousands of pilgrims travel such temple routes, seeking peace of mind, health and wellbeing for themselves and others as the benefits of such meritorious endeavour. This form of pilgrimage appears to be unique to Japan. The practice began centuries ago and involved visiting 33 temples devoted to the Bodhisattva Kannon, spread widely over western Japan. Soon afterwards the equally famous pilgrimage to 88 temples on Japan’s fourth island of Shikoku came into prominence. This is the first comprehensive study of all the major and many of the minor routes, The book also examines how the practice of circulatory pilgrimage developed among the shrines and temples for the Seven Gods of Good Fortune, and beyond them to the rather different world of Shintō. The varying significance of the different pilgrimages is also explored. In addition to all the information about the routes, the book includes numerous illustrations and examples of the short Buddhist texts chanted by the pilgrims on their rounds. In Japan well-established Shintō shrines form a nation-wide network forming the sites around which two types of pilgrimage, mainly but not exclusively Buddhist, occur: single shrine pilgrimage and pilgrimage to several shrines in sequence (circulatory). The subject of this book is circulatory pilgrimage. The two most famous circulatory pilgrimage routes form a model for all of the others: the Saikoku Pilgrimage comprising 33 temples in Western Japan and the Shikoku Pilgrimage comprising 88 temples on the island of Shikoku. The book uses three organizing concepts in the phenomenology of pilgrimage: route (the geographic patterns followed), the performed rites of transaction, and the dimension of Buddhist meaning. Various theories of pilgrimage are examined including Viktor and Edith Turner’s liminality and communitas, commercialized tourism and locality/sacred space and a general definition of pilgrimage is given. This chapter looks at some of the most well-known Buddhist circulatory pilgrimage routes in Japan, namely those which focus on the bodhisattva Kannon, or Kanzeon. The most famous of the Japanese pilgrimage routes devoted to this bodhisattva is that of the Saikoku Thirty-three Spiritual Sites, reputedly founded in about 718 by the monk Tokudō Shōnin, and many others are modelled on this one. The closest and most important imitations of the Saikoku pilgrimage are known as the Bandō Thirty-three Spiritual Sites, which are a widely dispersed string of temples in eastern Japan, and the Chichibu Thirty-four Spiritual Sites which are located relatively close to each other in and around the city of Chichibu not far from Tokyo. The chapter looks at other Kannon-sama routes, the Izumo, Kamakura and Izu Kannon routes and miniature Kannon-sama routes and at the denominational spread of these routes. This chapter examines the second major pilgrimage route of Japan – the chain of eighty-eight temples spread through the four prefectures of Shikoku, the fourth largest island. Although the Saikoku pilgrimage has a greater claim to antiquity, many people, and not only devotees of the Shingon Buddhist sects, would regard the Shikoku route as the most prominent symbol of all Buddhist pilgrimage in Japan. It has received the most interest from foreigners including the first to write about it, the German Alfred Bohner in 1931. The 88 temples of the Shikoku Route were reputedly designated by Kūkai (Kōbō Daishi), the founder of Japanese Shingon Buddhism. 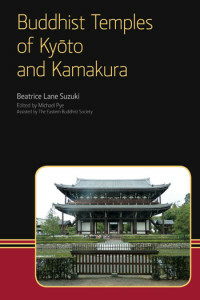 The chapter looks at each of the 88 temples along with imitations and miniature Shikoku pilgrimages. This chapter covers circulatory Buddhist pilgrimage routes which follow the basic concept of the two main models but are associated with other buddhas, bodhisattvas and holy places. 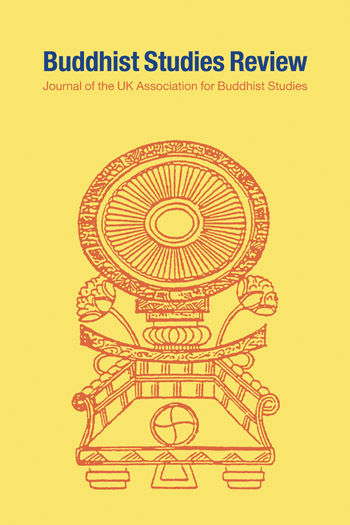 The easy association of different kinds of buddhist divinities is found notably in the list of the “thirteen buddhas” (jūsanbutsu) found in devotional books, especially in the context of Shingon Buddhism. Two figures who cross various denominational boundaries and whose own pilgrimages are briefly introduced are Yakushi Nyorai, the Buddha of Medicine and Fudō Myōō, the Immovable Bright King. Another major figure is the bodhisattva Jizō, known in Japanese formally as Jizō Bosatsu and popularly as Jizō-sama, who is particularly close to the people and is represented in a myriad statues all over the country. The practice of making special visits to the various places connected with the founders of particular practices or teachings as well as pilgrimage in Shin Buddhism is discussed. The concept of encouraging visits to a number of halls within one major temple complex is covered including important examples such as Mount Hiei, Kyōto’s centre of Tendai Buddhism, and Mount Kōya, the ultimate home of Shingon Buddhism. In modern times Buddhist temple authorities have begun to cater for those who do not have a strong devotional attachment to any one buddha, bodhisattva or religious leader. Thus in 1984 a group known as the “Society for Familiar Temples” came into existence in order to promote visits to a collection of forty temples in Kyōto. The practice of circumambulation widely current in various religions of the world is discussed. This chapter looks first at Buddhist pilgrimage in the wider field of Japanese religion. The Seven Gods of Good Fortune (shichifukujin) are among the most accessible of all the divinities in Japan and their individual shrines, usually of relatively modest size, are places at which visitors perform a simple devotional visit. The chapter then turns to the phenomenon of circulatory pilgrimages made to a specific number of Shintō shrines and to patriotic shrine pilgrimages associated with sites at which the imperial household is held in particular reverence. It looks at the example of a pilgrimage in Tokyo round linked Shintō shrines known as Hassha Fukumairi (Good Fortune Visit to Eight Shrines) as well as other Shintō shrine circuits. This chapter looks at the pilgrim’s transaction- the rites performed at each shrine. The three vital phases of each visit comprise the pilgrim depositing evidence of the visit, performing a devotional act and acquiring evidence of the visit. The chapter ends in discussing the lasting proof of pilgrimage – the large scroll on which all the temple seals and calligraphy have been mounted. This chapter looks at the multiple meanings inherent in the practice of Japanese Buddhist pilgrimage. It also looks at meanings in Buddhist pilgrimage in India and China. The pilgrims’ clothing and equipment, the guidebooks, various objects at the temples themselves, and the devotional booklets used for chanting provide a steady stream of meaningful associations. The guidebooks themselves often offer advice on the correct attitude the pilgrim should adopt. The chapter considers the idea that the Shikoku pilgrimage can be divided into four stages of religious development. It goes on to examine the recitation or chanting of texts which has been a regular aspect of Buddhist pilgrimage practice as far back as can be traced. Chanted texts include the sūtras, hymns of praise (wasan) and the temple songs (go-eika). The specific sūtras, the Kannon Sūtra and then at the Heart Sūtra, both of which are of central importance in the pilgrim tradition are discussed at length. This chapter looks at points which may be of interest to those who are studying other pilgrimages or who are interested in the methodology of the study of religions as a discipline. It argues that the three organizing concepts of route, transaction and meaning amount to a clear, inductively gained model of the phenomenology of pilgrimage which is particularly relevant to the cases studied but also potentially relevant to other cases of pilgrimage, whether circulatory or not. A commendable work. The first six chapters alone allow readers to gain basic information about the great diversity of pilgrimage routes in Japan as well as specifics about pilgrimage rituals and etiquette, material culture, and so on. 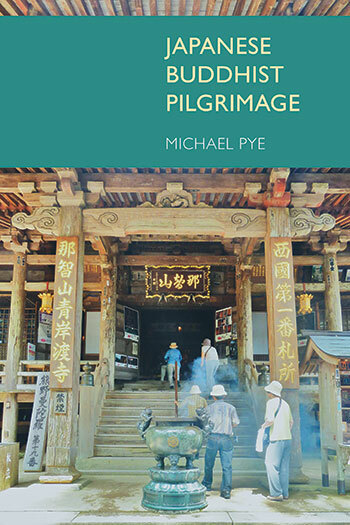 Pye's views about the meaning of Buddhist pilgrimage in Japan are built upon the premise that the motivations for undertaking them are intrinsically religious at their core. While this will not be persuasive to all, it offers an important academic perspective. A fascinating work which should prove an enduring resource in the study of Japanese religions and pilgrimage studies more generally. It is well-written, highly informative and based on much first-hand observation and hard-to-obtain Japanese sources. The details offered here are crucial to an understanding of Japanese pilgrimage culture, and many of the insights that Pye gives on invention and hybridization of religious practices are highly germane to the anthropology of Japanese, Eastern, and indeed all religion.